A script about a man torn between the loyalty to a friend or keeping another’s secret has won a team of Toronto Film School graduates $50,000 to make the film and a screening at the 2017 Inside Out Toronto LGBT Film Festival. Kyle Reaume, who lives in Toronto’s west end and graduated from Toronto Film School’s Film Production Diploma in 2015, is the director, writer and lead actor in the short film What About Shelley. The project is to be produced by fellow Toronto Film School Film Production graduates Carolyn Reznik and Rafaela Scully. 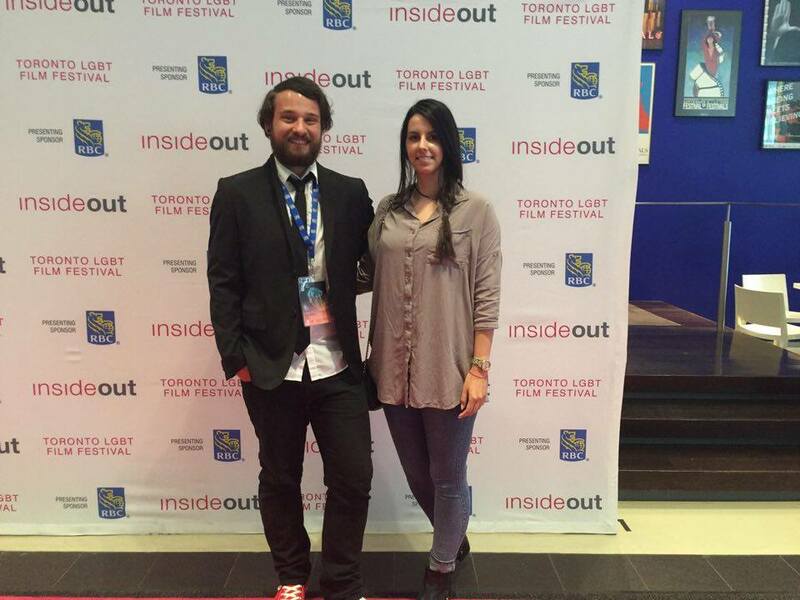 The Inside Out BravoFACT Pitch Competition is geared at LGBT films by LGBT filmmakers, Reaume explained and is presented by the Inside Out Toronto LGBT Film Festival in partnership with BravoFACT. The competition saw filmmakers from all over the country submit their pitches and those were narrowed down to five finalists who made their pitches before a live audience and a panel of judges at the TIFF Bell Light Box on Saturday, June 4. As it turns out, their gut feeling was right, and at an awards ceremony the following morning, What About Shelley was named the winning pitch. The team has won a cash prize of $50,000 from BravoFACT to complete the project, passes to next year’s Inside Out Toronto festival and a guaranteed screening of What About Shelley at the 2017 Toronto LGBT Film Festival. Reaume explained What About Shelley is about a friendship threatened when a man comes out as gay to his girlfriend’s best friend. Billy is left with the decision, does he tell Shelley and reveal Adam’s secret or does he keep Adam’s secret and betray his friendship with Shelley? “We had our first production meeting about it yesterday, and it was exciting,” Reaume said. It’s a 10 min film with a 10-page script, and Reaume said he hopes to wrap filming by the end of the summer. Shooting will take place in Toronto and much of the crew hail from Toronto Film School. “Having gone to TFS I have cultivated a close group of friends who are also really talented filmmakers, so we have a good amount of the crew that are also TFS grads,” Reaume said. He went on to say, that one of the greatest benefits of his time at TFS was the people he was able to meet and work with, including the instructors, who are industry professionals. For example with this project, he was able to get advice on his pitch from a former instructor and another offered help with the project going forward. Last year What Makes Me A Woman, screened at inside out. It is a documentary that was made as a TFS project and which Reaume edited, and that premiered at the Toronto Film School Film Festival. Reaume was the director, writer, editor and one of the actors in Ecstasy, the story of someone who would do anything to be touched by their former lover. To find out more about the Toronto Film School and its prgrams, click here.